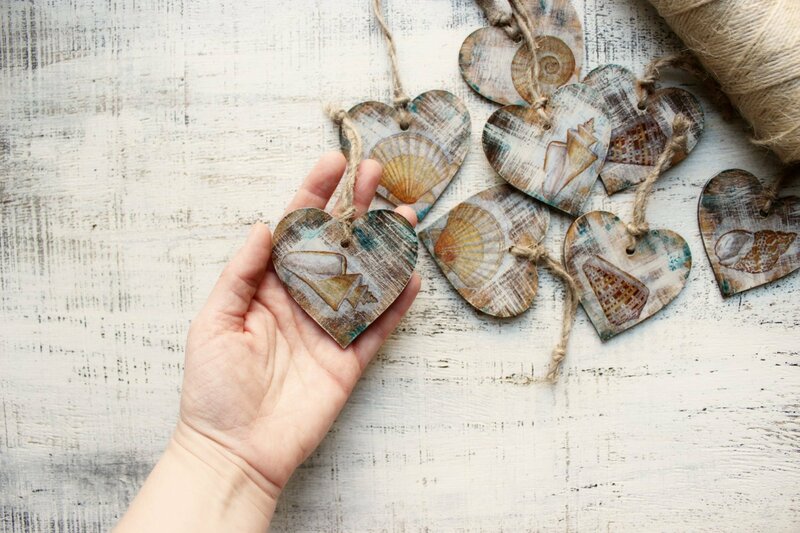 Set of 200 nautical hearts with images of sea shells and painted sea water drops on each side seem to be a great Valentines day decor, Valentine gift, wedding favors for beach wedding favors or boho wedding favors or decor gifts for bridal shower. 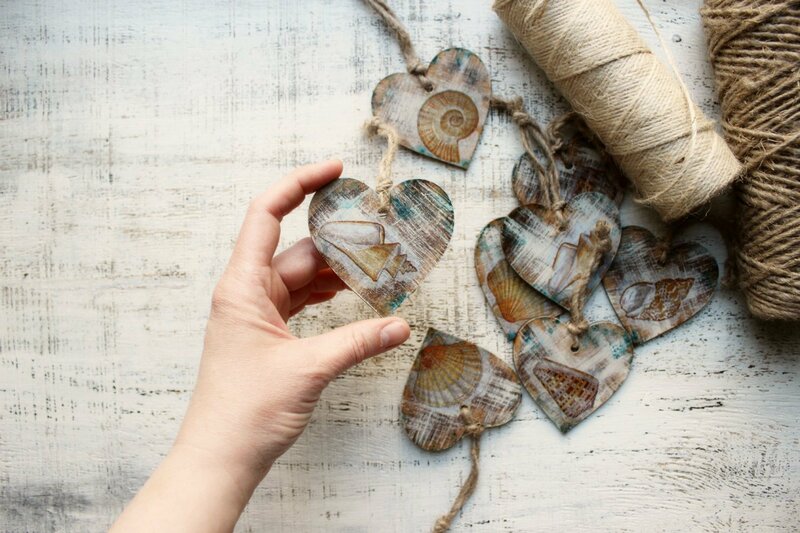 This listing is for 200 heart ornaments set but you can request any custom quantity you need. 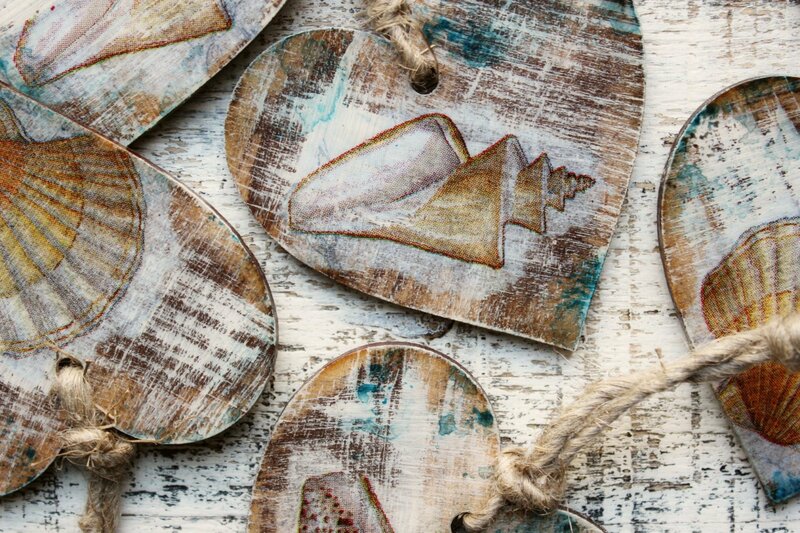 Hearts are wooden, handpainted, decoupaged & varnished. 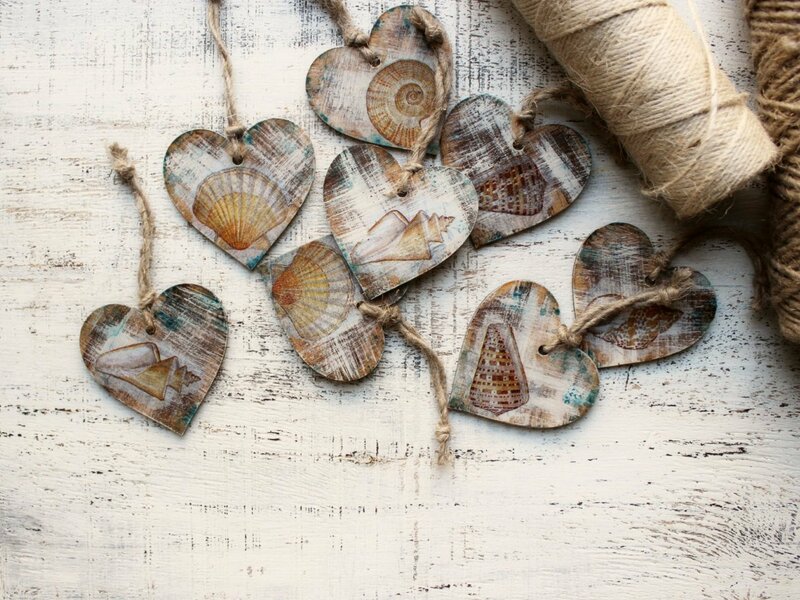 Each heart has got a rustic twine for hanging. 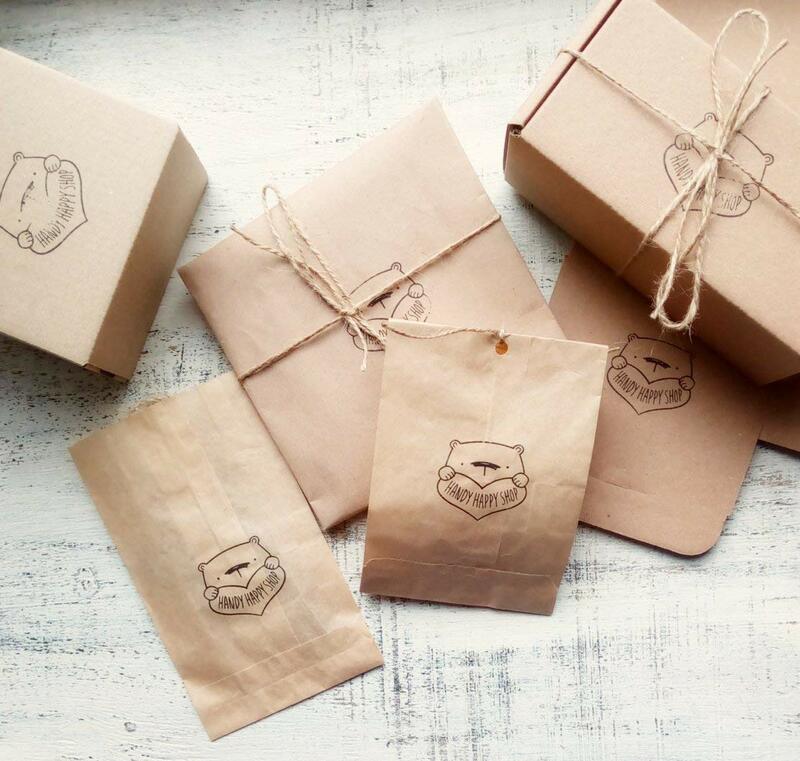 Set comes in a brown cardboard box for the whole set and craft paper bags for each heart. Hearts are made in the same style but each one is slightly different due to handcrafting. Size of each heart is about 3 inches long and wide (7 cm). CARE: no washing or pouring water on it. Can be wiped and then dried. Please, keep in a dry place with low humidity. 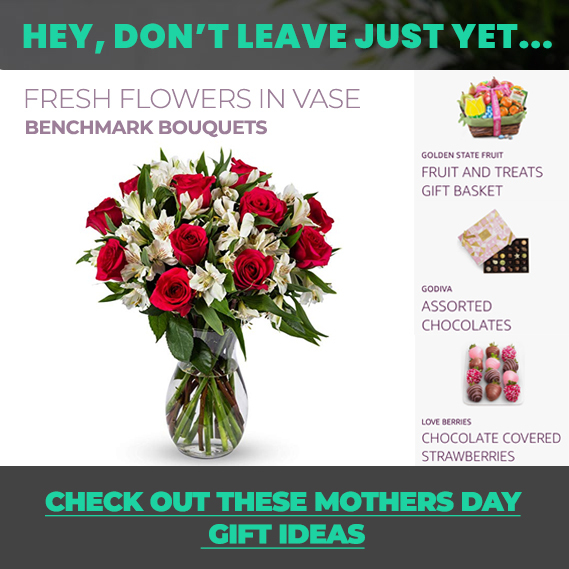 Availabiliy and Shipping: made to order and shipped with DHL Express worldwide.